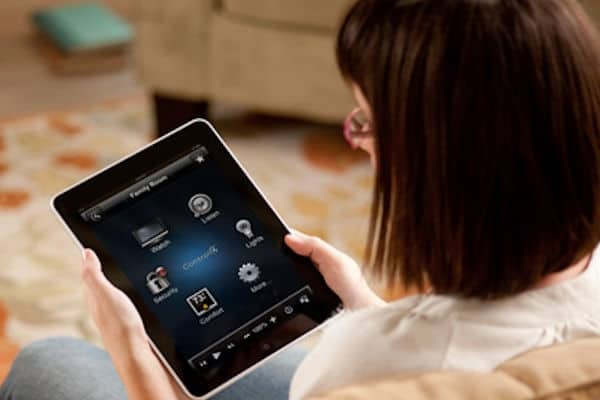 Trust the Twin Cities’ top home systems experts to install your home automation system. Efficiently and conveniently control all of the systems in your house through one simple interface. Via mobile devices or easy-to-use touch screens, Control4 automation systems allow you to change the temperature, play music throughout your home, control all of the TVs in your home and monitor your security system. Home automation also gives you the option to create a customized program. Picture yourself walking into your home, disarming your alarm in one step as the lights and heat ignite while the TV opens to your favorite channel. With Control4 you can have control of your home at your fingertips, no matter where you are in the world. SLH Home Systems is the most experienced Control4 dealer in the region. We have more installs than any other company. You will experience our reputable service first-hand when you hire us to help you create the perfect home automation package to fit your needs. Contact SLH Home Systems today to receive your consult with Minneapolis and St. Paul’s #1 Home Automation solutions provider.